His compositions encompass numerous styles, including pop, jazz and gospel. In 2008, "I Believed It," a song he co-wrote with Zoë Theodorou, won the Covenant Award in Canada for "Jazz/Blues Song of the Year." Growing up in Rio de Janeiro, Brazil, Mr. Pantoja's interest for music began with a family atmosphere that celebrated music. When he was 19, he moved to the United States to study at Berklee College of Music, and after three and a half years, he left for a professional opportunity. While in Boston, he was profoundly influenced by Charles Banacos, a renowned jazz pianist and teacher. He recalls how exciting it was to study music in a culture different from his own, and he acknowledges God as the one who guided him to study in the United States. 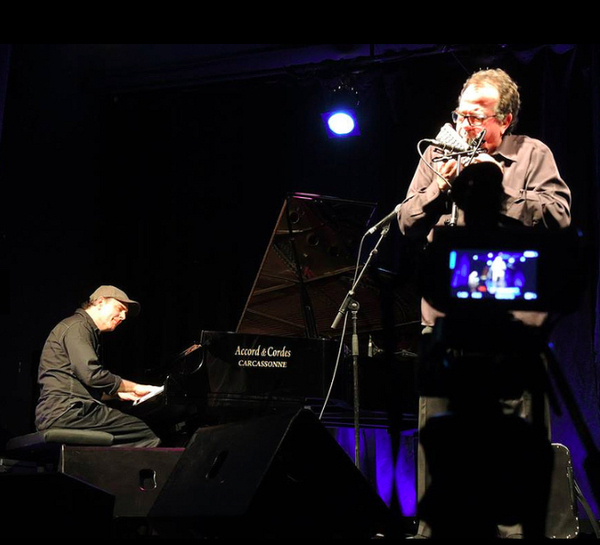 After Berklee, his life as a professional musician took flight with a two-year period in Paris playing with important jazz musicians such as Chet Baker. With a teaching career that spans over 20 years, Mr. Pantoja began teaching at Biola in 2006 and continues to be blessed by the environment in which faculty and students are committed to Christian values and to excellence. He teaches applied contemporary keyboard and song writing in addition to leading student pop ensembles in the Worship Arts department. He is passionate about passing down his musical knowledge and about mentoring his students in their faith and everyday lives. He also serves on the board of Reaching Youth Through Music Opportunities (RYTMO).